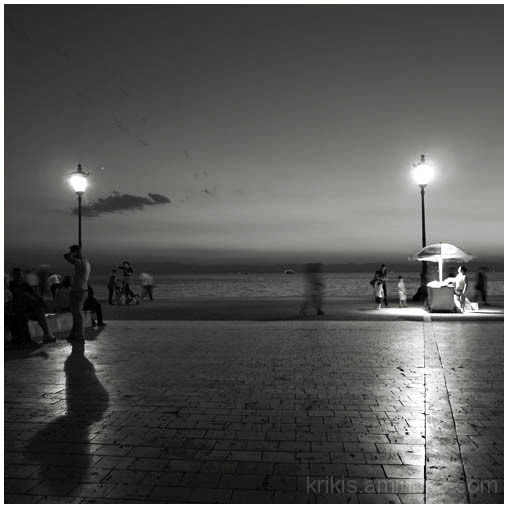 yiannis krikis (thessaloniki, Greece) on 12 October 2013 in Cityscape & Urban and Portfolio. Stunning. Excellent composition with the symmetry of the floor lamps, the little cloud, the shadow at the bottom left, and the blurred silhouette. Lovely light on the stones.